With the Brake charity’s annual Road Safety Week running all this week, (19th to 23rd November), and with Bike Smart (targeting motorcycles as well as bicycles) central to its theme, FORS is committed to drawing attention to the importance of the safety of P2W riders on UK roads. Through its newly-updated FORS Standard, FORS makes provision for P2W fleet operations from January 2019, providing this growing sector with access to its progressive Bronze-Silver-Gold accreditation process. 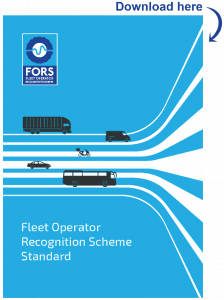 The new FORS Standard is now in its fifth iteration, updated every two years to retain relevance in an ever-changing industry, setting out the requirements operators must meet if they wish to become FORS accredited.